Since 2015, The Gallery at Flat Rock has presented original, finely curated contemporary art and crafts by exceptional artists working in all mediums. 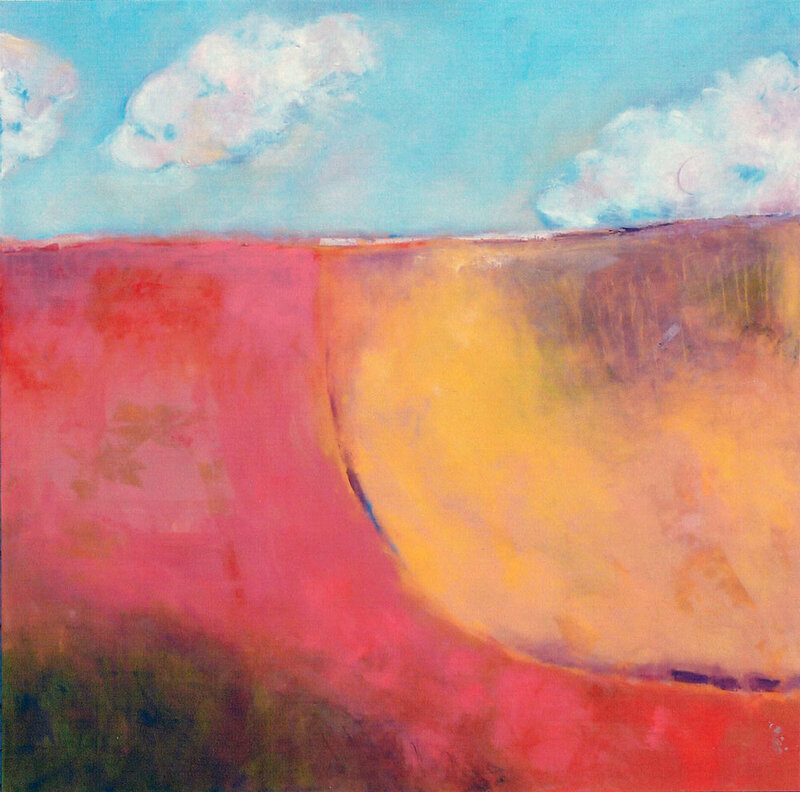 Owner Suzanne Camarata Ball works with more than 60 regionally and nationally acclaimed artists to create a unique and inviting gallery space featuring some of the finest art available in western North Carolina. The Gallery is proudly committed to promoting and enhancing the art experience in our community by creating opportunities for artists, collectors and friends to learn and connect with each other. We offer an ongoing schedule of fun and thought-provoking themed exhibitions, workshops, artist talks and special events that are geared for the entire community. See our schedule of events here. In addition to offering original works of art in painting, sculpture, clay, glass, mixed media, fiber and photography, the gallery showcases one-of-a-kind craft, jewelry, functional ceramics, cards, books, purses, and gift items. The diversity of our collection makes it possible for any customer to find the perfect piece of art, gift or accessory item for their needs. 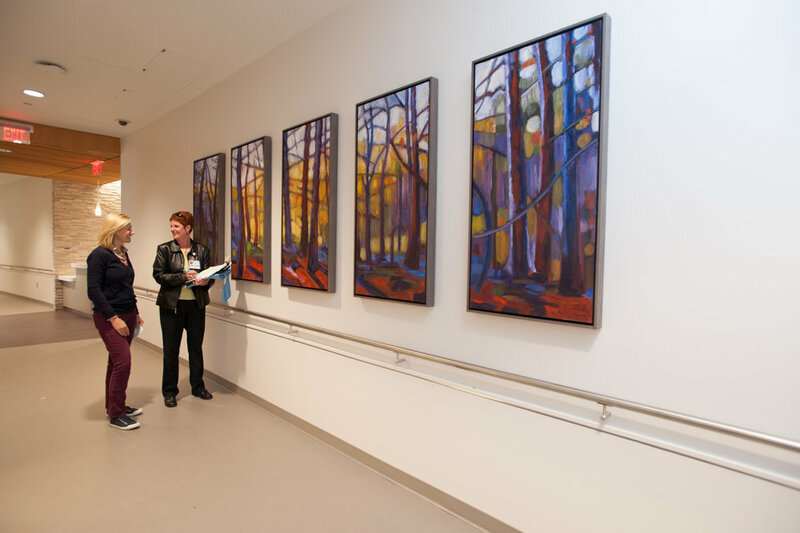 The Gallery also provides an Art Advisory Service for individuals, interior designers, medical centers and businesses. This service offers consultation and acquisition assistance tailored to the particular needs of a home, organization or business. Whether you’re a first-time art patron or a collector with years of experience, we’re here to help advise, assemble or augment your collection. Learn more here. We invite you to visit Suzanne, Susan, and Brown Dog at The Gallery at Flat Rock and experience one of the region’s premier collections of art, fine crafts and gifts. We are happy to share this beautiful space with you for any event you have! To inquire about renting the gallery for your special occasion, please contact us at info@galleryflatrock.com. The gallery will hold up to 100 people comfortably for a reception and up to 50 for a sit down meal. My passion is people, especially relationship building. Before I opened The Gallery at Flat Rock in 2015, I worked as a freelance photographer for 11 years in Boston. The work assignments gave me a glimpse into people’s lives, albeit brief but impactful. I learned the importance of listening to and honoring everyone I meet. I was born in South Korea, and raised in Japan before coming to the U.S. at 15 years old. I studied Political Science in college and then through a circuitous route discovered my love for photography. I worked as an assistant for several photography studios and then stepped out on my own as a freelance photographer. It was a journey that allowed for many unique opportunities. Upon moving to Western North Carolina, my intent was to transition into pet photography. I met Brown Dog by happenstance while on a road trip—she was my impetus to move from a big city to a small town and in my search for a photography studio I discovered the building that now houses the gallery. Interestingly, the building is one of the remaining structures of the historic Flat Rock High School; before the school closed in 1967, what is now the gallery space served as the school cafeteria. I have learned that some previous tenants were gallery owners, and of all things, that George Winston had once held a concert in the space. Art is embedded in the atmosphere of this place! It wasn’t long after I established my photography studio that I began to transition it to a fine art gallery. I am proud to say we currently represent over 60 artists working in all mediums. The Gallery at Flat Rock is here to serve the community—by providing a venue to stage compelling exhibits, host cultural events, and enrich lives through bringing artists and collectors together. Drop in to say hello, share a story, or to pet Brown Dog, who works as the gallery’s official mascot (Believe me, we know where we two-legged stand on the totem pole). Susan joined the gallery team in the spring of 2017. She’s been a natural fit for the gallery, due to her love for the arts and all things community-oriented. Susan has served the community by volunteering her time and efforts on the boards of Feed the Kids, Hendersonville Community Co-op, and Friends of the Hendersonville County Public Library (to name just a few organizations). Susan’s passion for the arts is expressed by her current volunteer efforts with the Arts Council of Henderson County’s Bring Us Your Best exhibition and Art on Main event, as well as the ArtScape banner project. A native of Massachusetts, Susan studied fashion design and illustration. Following a short stint in the fashion industry, she moved into the printing sector at a time when print set-up was truly “cut and paste.” She spent the next 20 years in corporate positions before acting as an online assistant to a sales group based in New Jersey - a position she held for 12 years. In her role at The Gallery, Susan keeps everything running like a clock. She’s continually thinking of creative ways to promote the gallery artists and is easily their biggest champion. A true art-loving dog, Brown Dog is proud to serve as Gallery Ambassador, a role involving spending lots of time lounging in the gallery soaking in the beautiful pieces of art. At times a greeter, an art critic and occasional “prop” to an exhibit, Brown Dog is a beloved addition to the gallery. Friends often pop in to visit with her and share their latest news. On the outside sidewalk, Brown Dog has placed her “paw” of approval with permanent paw prints leading to the gallery door. "The Gallery at Flat Rock hosts artists behind the art Saturday." "Local art brings calm, healing vibes to cancer center." The Gallery at Flat Rock is enriched by our many good friends in the community. They are the lifeblood and inspiration for all that we do. With their support, The Gallery at Flat Rock is proud to bring to Western North Carolina many wonderful examples of the creativity and beauty in art that enriches our everyday lives. We have always known that the new Pardee Cancer Center was going to have long lasting impact in our community, not just for our patients, but for their family, friends, and caregivers; as well as our dedicated team of providers. We wanted every aspect of the building and space to reflect our commitment and connection to our community, while also providing the right ambiance to complement and facilitate a positive healing environment. My relationship with The Gallery at Flat Rock is one of deep respect and appreciation. The level of professionalism is matched by the passion and sincerity that the owner and staff have for connecting clients with works that will enhance their lives. Suzanne has been instrumental in adding unique art to our mountain home. As part of her Art Advisory Service, she visits our home often bringing the artist along to study and recommend just the right piece of pottery, oil painting, or furniture. When my husband and I decided to add a life-sized black bear to our backyard we called upon Suzanne to help us locate the ideal artist.